Andrew Kelley was born and raised in the South Bay. Hope Chapel has always been his home. He grew up here, had his first job here, and met his wife in our high school group. 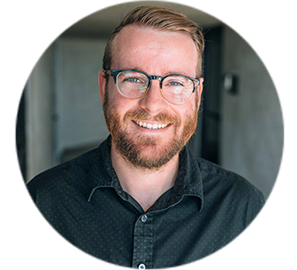 After graduating from Biola in 2008, Andrew served as our youth pastor while finishing his MA at Talbot. After that, he and his family lived in rainy Scotland while he finished a PhD in New Testament. God called his family back to Hope Chapel and to the South Bay where the sun shines and the Mexican food is good. Since his return, Andrew has been serving as a teaching pastor here at Hope. He currently lives in Torrance with his wife, Stephenie, and their two kids, Kadence and Sterling. While his primary responsibilities include teaching and preaching, he also occasionally reads. Jesus came into Galilee, proclaiming the gospel of God, and saying, “The time is fulfilled, and the kingdom of God is at hand; repent and believe in the gospel."